In March 2017, the Ukrainian Helsinki Human Rights Union, supported by the US Agency for International Development (USAID), announced the second competition for alumni of the Ukraine-wide educational program “We Understand Human Rights” to hold local educational events in various regions of Ukraine. As for the first time, the competition was very interesting for graduates and activists. In general, nearly three dozen applications were submitted. Four of them were evaluated with the highest score by the expert jury. 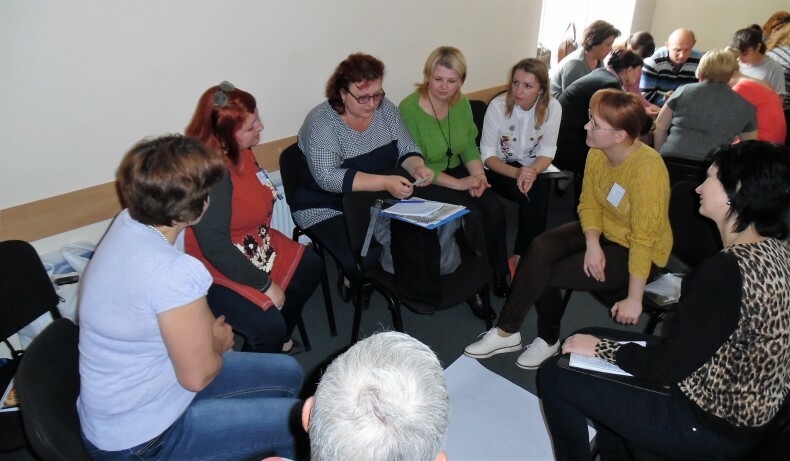 So, during April-May, trainings with different topics in the field of human rights were organized and held in Vinnytsia, Poltava, Kherson and Ivano-Frankivsk Oblasts. The event “SetUp Human Rights” opened this series of informal education for youth in Vinnytsia. During three days, experts Maksym Yelihulashvili and Roman Filipishyn taught the game of debate, understanding of human rights and protection mechanisms. Using this non-standard tool, knowledge was solidified. Organizers – Vinnytsia Debate Club – plan to apply the game of debate for further promotion of human rights among students. 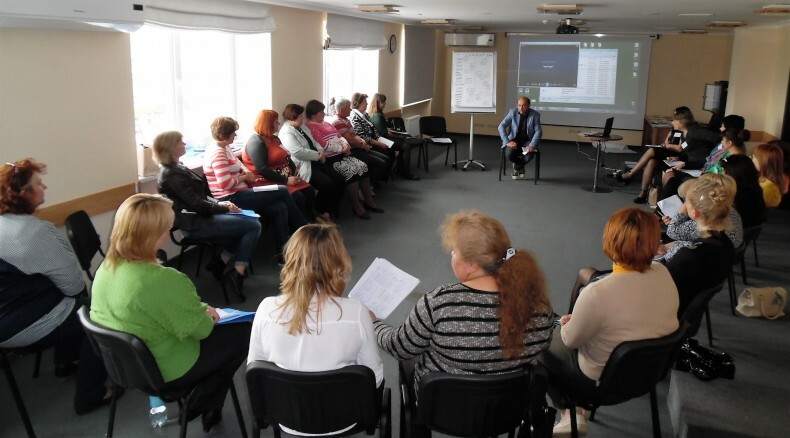 Instead, in Poltava, the charity organisation “Light of Hope” has selected target audience from representatives of the local media who had the opportunity to learn how to address domestic and gender-based violence, taught by the famous expert Halyna Kornienko. The main attention was devoted to the issue of media influence on public opinion and key messages. They discussed gender sensitive language in practice, reviewed materials on gender-roll-defined criteria. The knowledge and advice not only contribute to the actualization of this problem through the media but also help to do it professionally. Students of several villages of Sniatynskyi District of Ivano-Frankivsk Oblast for the first time participated in the training on human rights. 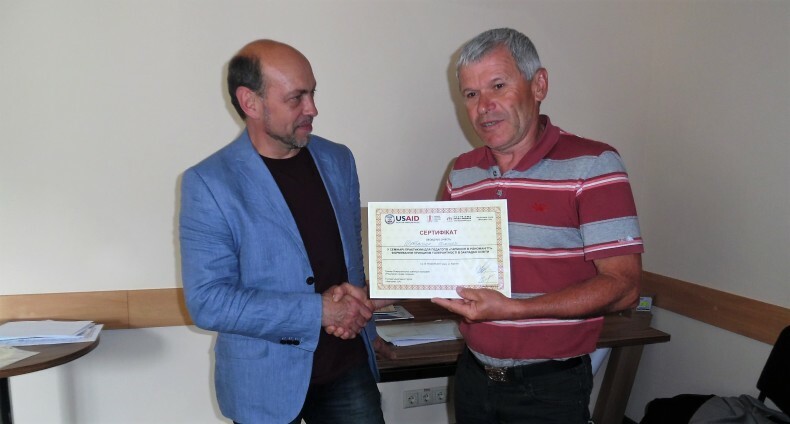 Expert Yaroslav Minkin began a three-day intensive training on the history of human rights and moved to narrower topics – the right to life, freedom of assembly and so on. ‘The training was very active. We proved, and participants made sure, that human rights are really interesting and necessary, and they should be known. we have seen results literally on the next day, when receiving feedback from students. Then they knew that the right to life is inalienable, and freedom from torture and slavery is unlimited’, summed up one of the organizers from the charity fund “ProOsvita” Omelian Tarnavskyi. Later on, the initiative group “Phenomenon UA” from Kherson held the following event, through which educators, librarians and employees of public sector learned the principles of tolerance in educational institutions. During the event, participants learned the theoretical foundations of the concept of “tolerance” and “human rights”, got familiar with effective and innovative methods of teaching these subjects for middle and high school age, and tested their own set of thematic exercises and games. Experienced coach Oleksandr Voitenko initiated full interesting discussions, helped analysing their own mistakes with specific examples from life. Participants of all educational activities received, in addition to new knowledge and certificates, the most pleasant experience and new ideas to implement. More than one hundred people learned about various aspects of human rights and got motivated to distribute them in different parts of Ukraine. The program “We Understand Human Rights” together with the Ukrainian Helsinki Human Rights Union continue to support alumni and in the nearest future will announce the third competition for the support of local educational events. Do not miss it!